Following the devastating Cathedral Yard fire in October 2016, WBW Solicitors has joined forces with other Exeter city law firms to help raise money to go towards the Devon Community Foundation. 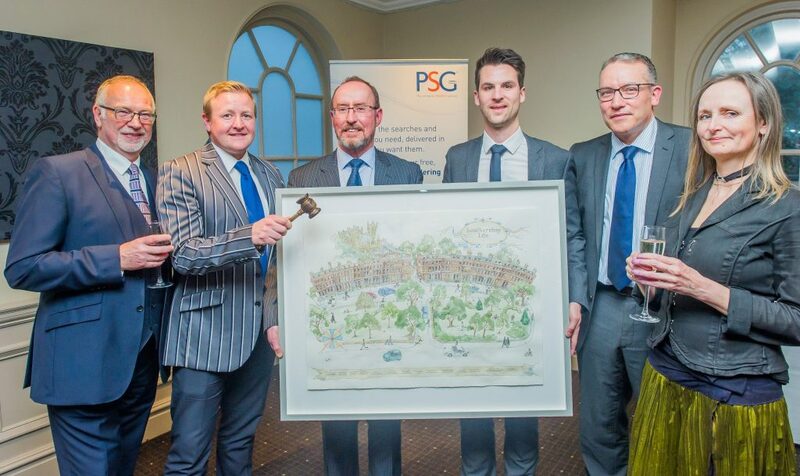 Property Search Group wanted to raise money by commissioning and auctioning a painting of ‘Southernhay Life’, created by Devon artist and illustrator Sara Nunan. The painting depicts a ‘day in the life’ of the area, traditionally the city’s legal hub adjoining Cathedral Yard. It features individual solicitors and colleagues from legal firms who have donated money. “The fire in Cathedral Yard last October shocked everyone in the City. That shock gave way to relief that there were no casualties and that the damage to this historic area had been soskillfully contained by the emergency services. The damaged buildings will be restored so that there will be no permanent loss. But there are some whose livelihoods and jobs have gone and who need urgent, practical support while they rebuild their working lives. It will be years before Well House staff and Royal Clarence employees can return to their old jobs. The Fire Fund, administrated by Devon Community Foundation, has already raised over £20,000 and given grants to staff and small businesses affected by the fire. With the Fire Fund now coming to a close, money raised by the Southernhay Life campaign will go towards the creation of a cultural tribute, after a public vote run by the Foundation.